Design It feels well-built, and is small enough to take anywhere. Battery The Capsule should last around four hours on a single charge, or 30 hours in Bluetooth speaker mode. Software It runs Android 7.1 Nougat, so you can run plenty of apps. Brightness This is a problem with all pico projectors, but the Capsule isn't very bright. 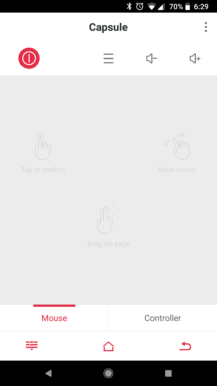 Software No Google Play Store, and most apps don't have a TV interface. 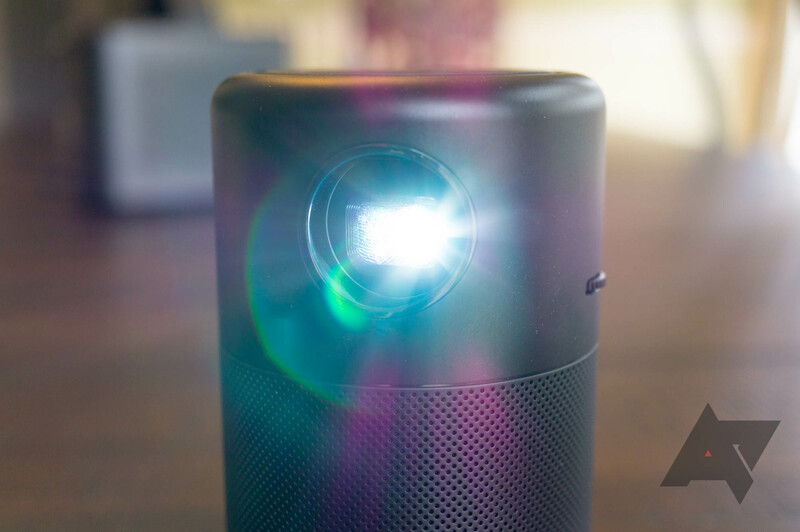 Cost $349 is a lot for a portable projector, even one as good as the Capsule. As mentioned above, the Nebula Capsule is roughly the size and shape of a 12 fl oz soda can. Like the Mars, it feels very well-built. The top has a series of controls, including power, volume up/down, and the switch for speaker mode. On the side is the focus dial, and on the front is the projector lens. The bottom has a tripod screw mount. Unlike the Nebula Mars, there is no cover for the lens, but the glass covering it seems like enough protection. Anker also includes a small travel bag in the box. The Mars had a great selection of ports, including HDMI, USB 3.0, and an audio out jack. 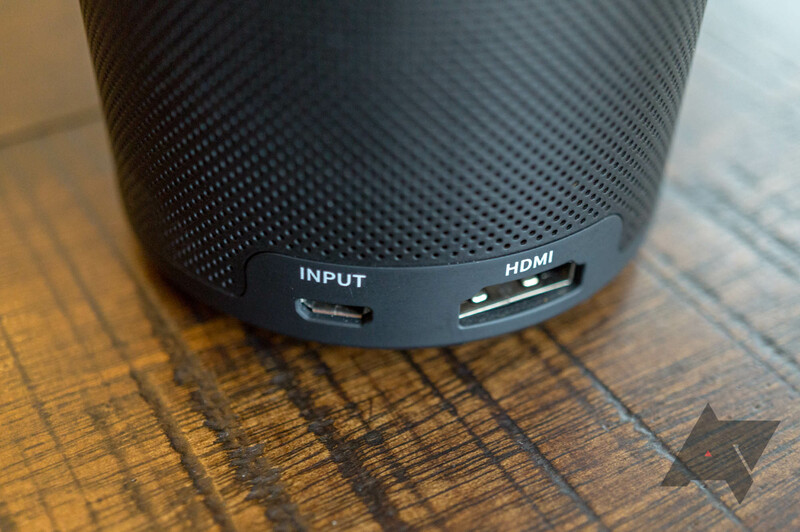 The Capsule only has two - a microUSB connector for charging, and an HDMI port. There's no full-size USB connector, but Anker does include an OTG adapter in the box, so you can still watch media from a flash drive (or connect a mouse/keyboard/other USB accessory). You can't charge it while using the adapter, but the Capsule lasts long enough for most movies - more on that later. The lack of a headphone jack is a massive bummer. I've used the Capsule multiple times to watch movies late at night, and I'd love to connect my headphones to avoid bothering other people in the house. If I connect the Roku Streaming Stick, I can use private listening through the Roku app on my phone, but it's a messy setup. You can use Bluetooth headphones/speakers as an output device, but you'll obviously experience some lag. On the plus side, I'm glad Anker stuck with a full-size HDMI port. Many projectors this size, like the AAXA P2-A we reviewed last year, only have mini HDMI connectors. You can connect any game console, set-top box, or streaming stick you want - no adapters required. Of course, plugging in a streaming stick (Chromecast, Fire TV, Roku, etc) presents another problem. You have to use the OTG adapter to power the stick, which means you can't charge the Capsule and the streaming device at the same time, unless you have a separate power source for the stick. Not an ideal situation. Speaking of charging, the Capsule supports Qualcomm Quick Charge 2.0, so it won't take long to completely recharge the battery. Anker includes a QC 3.0 charging brick in the box, so you don't have to buy one separately. I would have preferred Type-C and USB-PD charging, but this is still an improvement over most pico projectors. The entire bottom half of the Capsule houses the omni-directional speaker, which is definitely one of the main selling points. The quality is about what you would expect from a speaker this size - not much bass, but good enough for movie watching and casual listening. Perhaps the most surprising aspect is how loud it gets. Half volume is usually high enough for me with the Capsule sitting a few feet away. 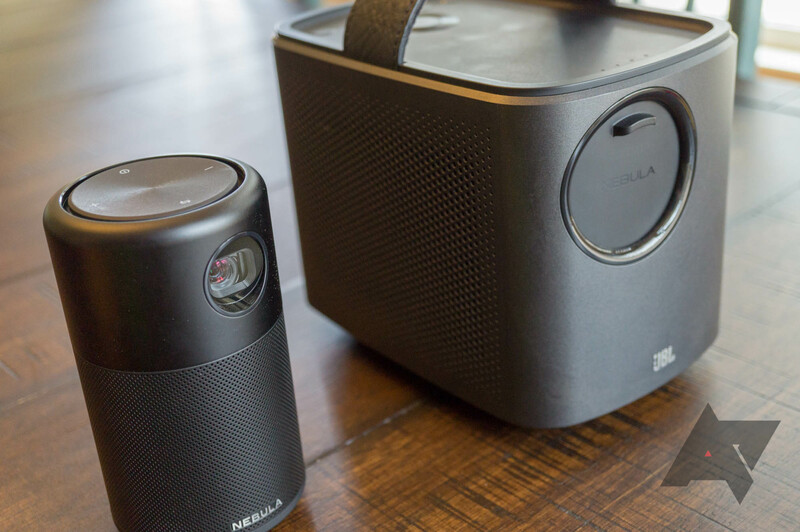 The Nebula Capsule can also function as a standalone Bluetooth speaker, in addition to being a projector. Once you press the switch button on the top, the projector shuts off, and you can play music from whatever device you want. Since the projector is turned off, the battery life is significantly longer in this mode - Anker estimates 30 hours of usage. Overall, I didn't have any issues with the Bluetooth mode, and it definitely makes the Capsule more useful. Finally, I want to go over the remote. It has a directional pad, along with back, home, menu, volume, and power buttons. When I reviewed the Nebula Mars, I ended up using a Bluetooth keyboard as the main remote, because many of the apps were designed for touchscreens and couldn't be used with the simple remote. The Capsule's remote has a mouse button, which will display a cursor on the screen, allowing you to use any app. 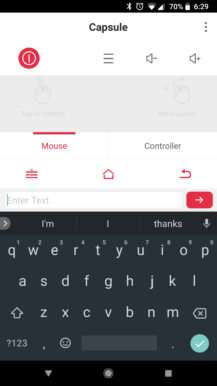 It's not perfect, as you'll need to move the cursor with the directional pad, but it makes navigating through smartphone apps less of a pain. You can also use the 'Capsule Control' app for this, which I'll get to later. Shoving a projector into a form factor this small always comes with a few drawbacks - namely the resolution and brightness. The resolution maxes out at 854x480, which sounds low, but you're going to be sitting a few feet away in most cases. During most of my testing, I had the Capsule about 12 feet away from the wall, and the image quality was good enough to enjoy movies and TV shows. If you want a crisp image, either sit closer or buy a larger projector. On the plus side, it does support keystone correction. The Nebula Capsule is rated at 500 Standard Lumens/100 ANSI Lumens, which seems to be about average for projectors this size. The AAXA P2-A we reviewed last year was 130 ANSI, and these popular models on Amazon are 100 ANSI. In real-world testing, the Capsule's brightness is decent at best. If you're watching colorful/bright content, like animated shows, everything is clearly visible. But when you reach a dark scene, it's very difficult to see details. One of the first movies I watched on the Capsule was Captain America: The Winter Soldier, which starts out on a ship at night (here's a clip, there are no spoilers). Hardly any details were visible, even though I was in a completely dark room. Moving the projector closer to the wall can help, but it's still annoying. Thankfully, the battery life is fantastic. Anker says the Capsule should last four hours, and that has been accurate in my testing. Not many portable projectors can make it through an entire Lord of the Rings film, but the Capsule sure can. 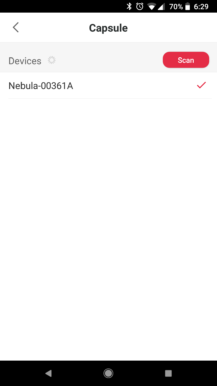 For starters, the Nebula Capsule does not run Android TV - it has a heavily-modified version of Android 7.1.1 Nougat. I would have definitely preferred Android TV, but from what I understand, Google is very strict about requirements for devices running the OS. There are currently no projectors with Android TV built-in, so it's possible Google doesn't allow that form factor at all. The included launcher is almost identical to the one used on the Nebula Mars. 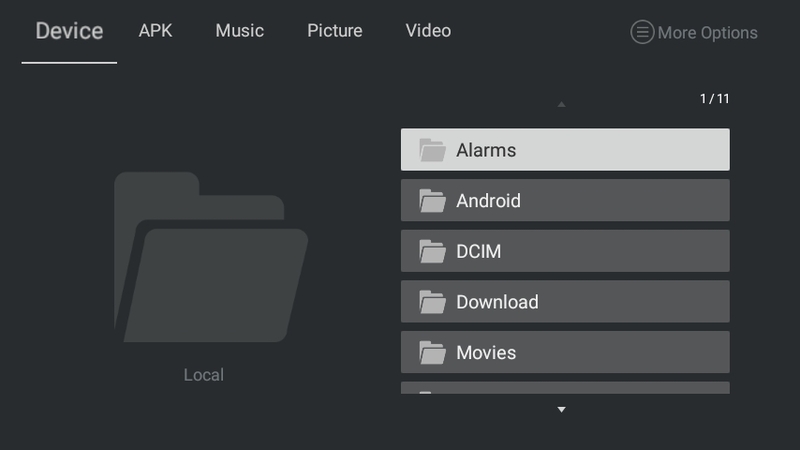 The top row contains the primary apps/controls, including the HDMI viewer, a file manager, the app manager, Wi-Fi options, and the system settings. Below that are all your apps, with large tiles for TED, YouTube, Netflix, and the app store. There's also a screen mirroring function, but it only supports Miracast and AirPlay, so you can't easily use it on an Android device. I'm sure most of you know how file managers work, but the Capsule's is an important part of the product. The app's main purpose is to play media files from a connected USB device. You can easily go through files using the remote, and play most video/audio formats with the included media player. 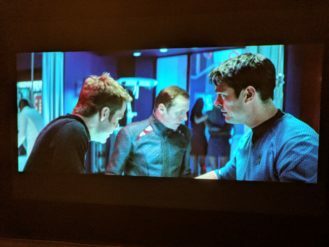 If you have movies in uncommon formats, you can easily install another player (like Kodi or VLC), and they will appear as options when you open the file. You can also copy files to the internal storage, but the app doesn't let you choose where to place them - everything just gets dumped into the main folder (/sdcard). To make matters worse, you don't have much room for content either. After installing a few apps, I only had 3GB of internal storage remaining. If you already have your media in a compressed container format, like MP4 or WebM, you could probably store two or three full-length movies. But if you want to carry a sizable media collection with you, you'll want to get a flash drive. 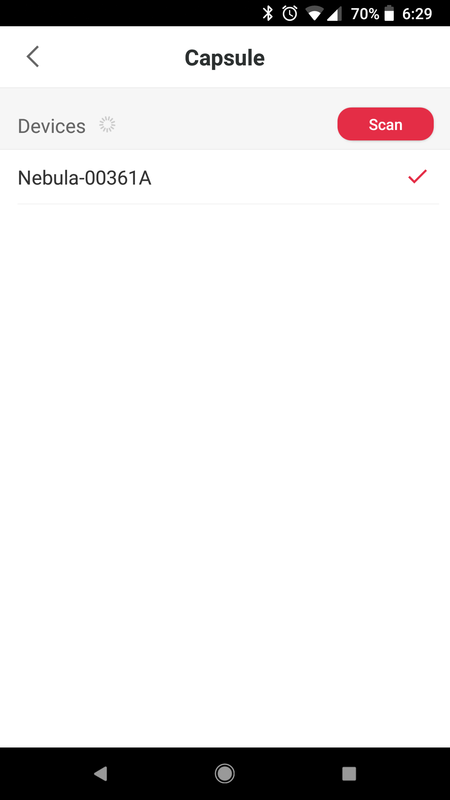 Just like the Nebula Mars, the Capsule does not come with the Google Play Store. Instead, it uses Aptoide TV, which mostly contains apps re-uploaded from the Play Store. 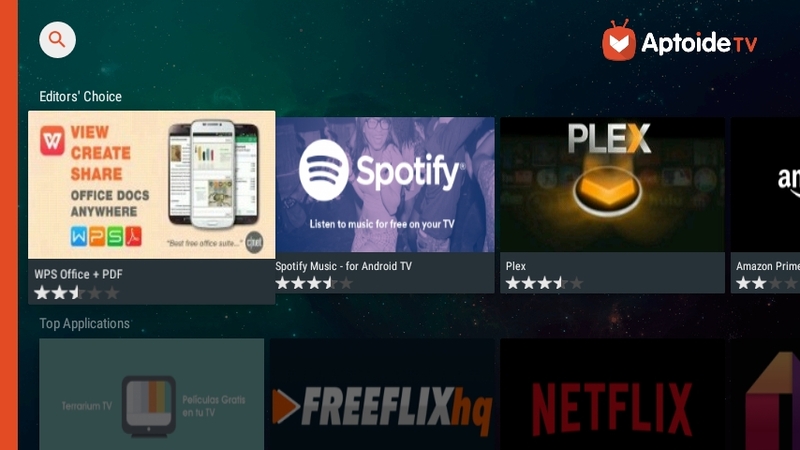 It has plenty of popular apps, including Netflix, Hulu, YouTube, Spotify, Plex, Amazon Prime Video, and Kodi. 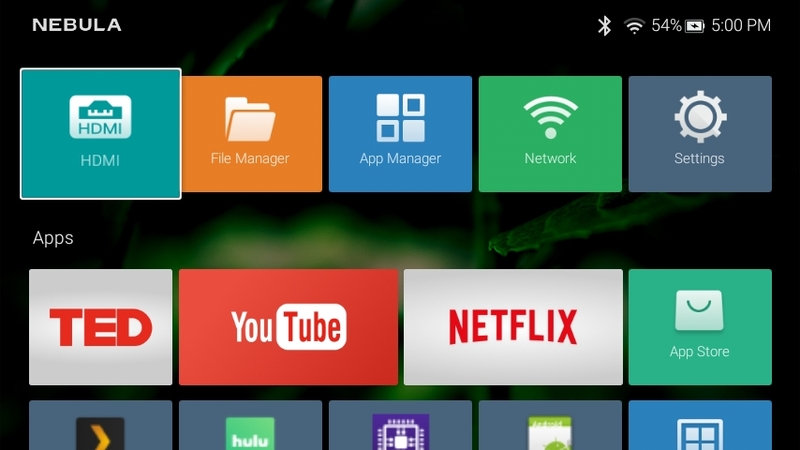 Some of these were designed for Android TV, but most are just regular smartphone applications. Unfortunately, there seems to be more than a few sketchy apps available on Aptoide's store. 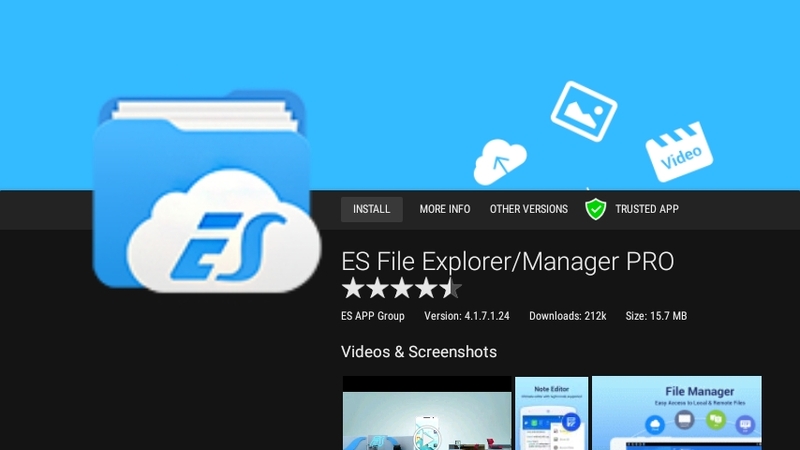 For example, we found the paid version of ES File Explorer available for free. 'FreeFlix' and 'Terrarium,' two apps similar to Popcorn Time, are prominently featured under Top Applications. Anker told us they were working to get the Capsule certified for the Play Store, but even if that does happen, it would be the mobile Play Store (without Android TV apps). Obviously, Anker isn't in control Aptoid, but it's not a good look when the app store front page has multiple piracy tools. 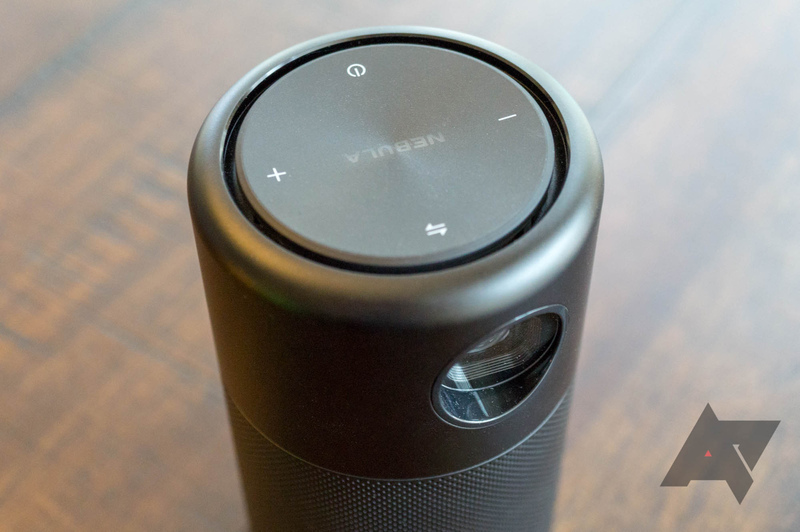 If trying to navigate smartphone apps with the remote gets old (it probably will), Anker provides another option - the 'Capsule Control' app. 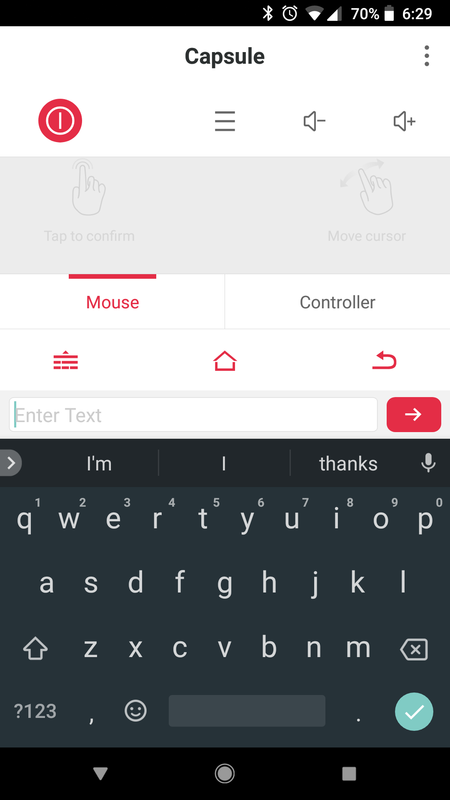 Once you download it from the Play Store and connect to the Capsule, your phone acts as a trackpad and wireless keyboard. It initially had some connection issues, but a system update for the Nebula Capsule resolved them. The app is quick to open, and uses Bluetooth instead of Wi-Fi. It's definitely the best way to use apps designed for a smartphone, like Netflix. It's also your only option if you lose the remote - as far as I can tell, Anker doesn't sell replacement remotes for the Capsule. During my review period, I mostly used YouTube, Hulu, Netflix, and Plex. 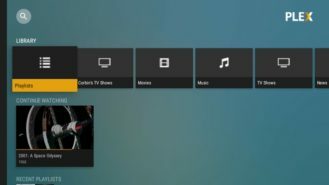 All of these were functional, but Plex was the only one that offered an actual TV interface. 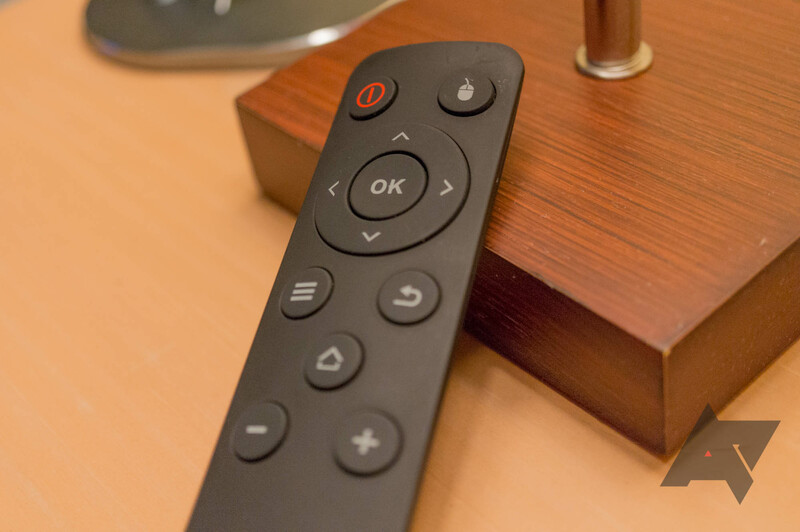 For most of these, you'll either be using the remote's clunky mouse mode, or the Capsule Control app. Even though it's not the best user experience, you'll probably only spend a minute or two navigating to whatever you want to watch. That being said, the lack of Google Play Services does present issues with compatibility. 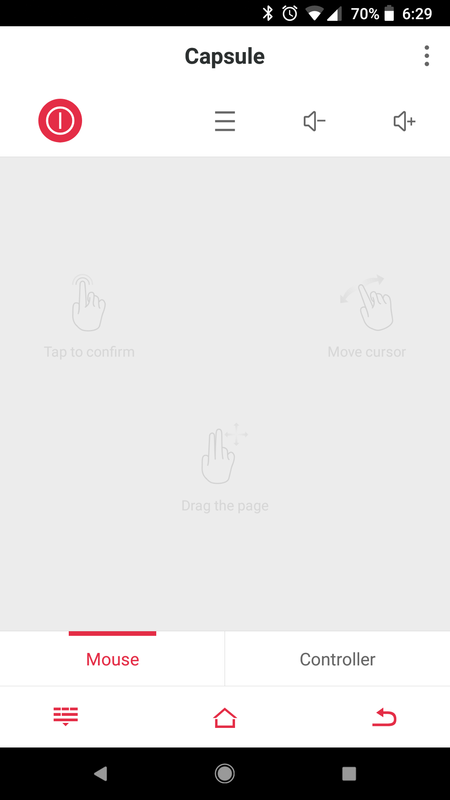 You can't login to the YouTube app, for example. I'm not sure why Anker didn't make a simple wrapper for the TV webapp, since that doesn't require Play Services. I sideloaded the SmartYouTubeTV wrapper instead, which worked well enough. Since the Capsule runs Android 7.1 under the hood, you can install more apps by coping the APK to a flash drive and opening it in the file manager. If Aptoide hasn't mirrored the app for your favorite streaming service, you can just grab it from APKMirror. If you want to have a tiny portable game station, throw an emulator on the Capsule and plug in an Xbox 360 controller. The sky's the limit. I didn't have any complaints about app performance either. Much to my surprise, the low-power Qualcomm 212 SoC in the Capsule is no slouch, and even 1080p streaming works well. The Nebula Capsule is undeniably a premium product. Even though the software does have flaws, having the full Android operating system is definitely a plus for many people. 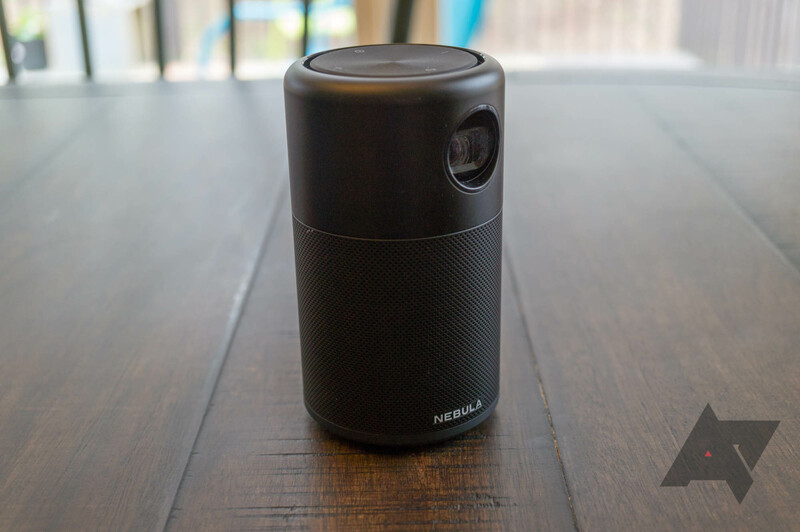 At the time of writing, the Nebula Capsule is $349.99, and has dropped to $279 once. That makes it one of the most expensive, if not the most expensive, projector in this category. Most other options go for around $100-250, depending on brightness, resolution, and software. If you're comparing the Capsule to other Android-equipped pico projectors, the price difference usually isn't too substantial. The AAXA P2-A we previously reviewed is $199 on Amazon, but that model doesn't have keystone correction, has worse speakers, and runs an older version of Android. This PocketPico model is $229 on Amazon, but there are many reviews mentioning hardware problems. 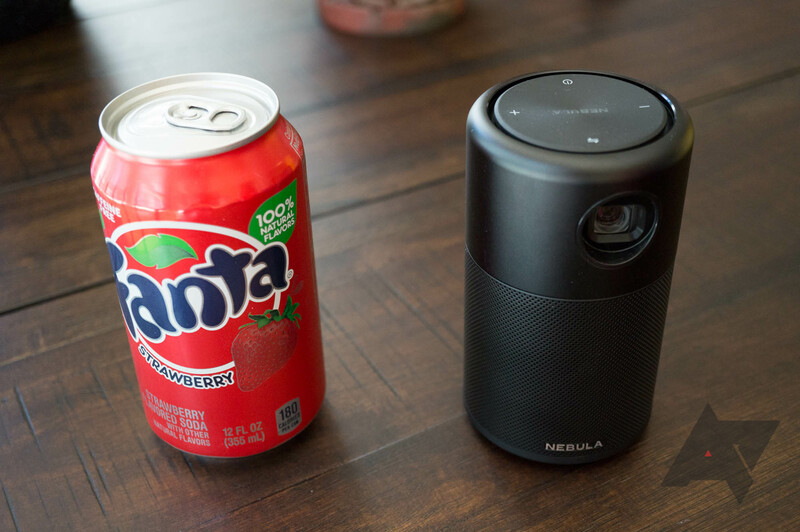 Anker's own Nebula Mars isn't a competitor either, mostly because the company has stopped selling it. 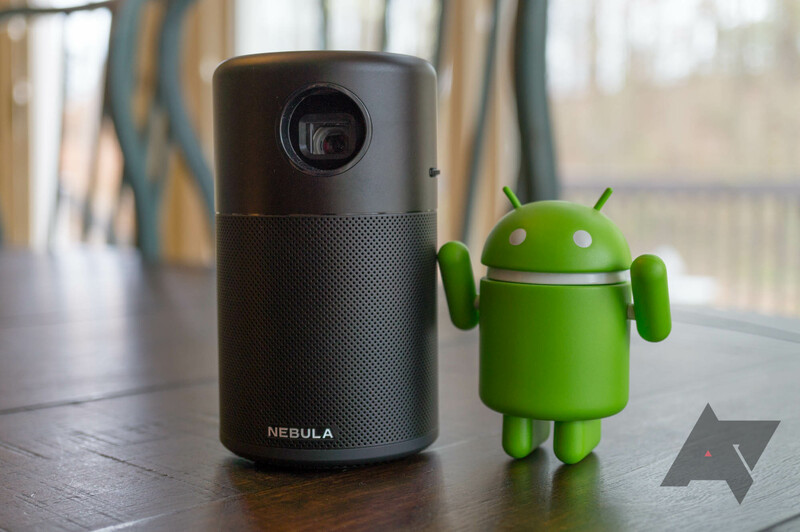 In summary, if you want an Android-powered portable projector, you should probably get the Nebula Capsule. No other option comes close to the Capsule's build quality and software experience. 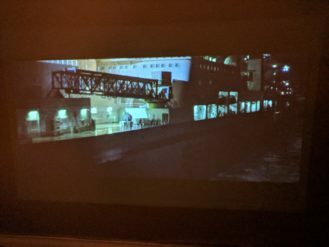 But if you just want a dummy projector to use with a Chromecast/Fire TV Stick, it's probably not worth the added cost. If you use coupon code 4CAPSULE at checkout on Amazon, the Nebula Capsule will drop to $277.99. That code will only work until April 30.